CMD “Group” your architecture and draw “rectangle” surface for extend of your site. CMD “rebuilt” to change point count for your topography. CMD “PointsOn” to work with control points. Select points and model terrain. 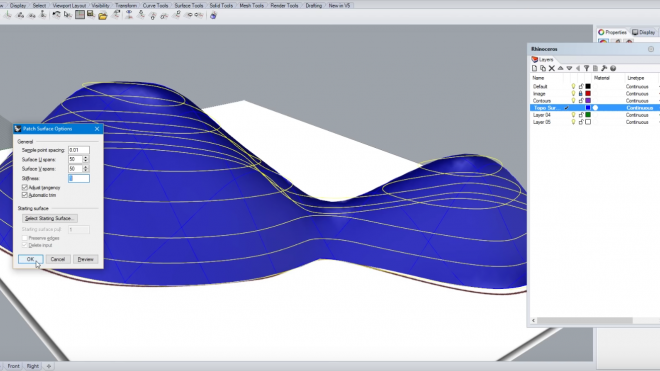 Create terrain box out of terrain based on rectangle curves. “Explode” rectangle and create planar surface CMD “PlanarSRF” for side parts. CMD “Contour”: Create contour lines out of topography with. Create 2d side plan: Download 2d symbol library (Link on top). CMD “Make 2d”. Close missing curves. Organize layer structure. 1a. Smooth terrain created from images: smooth with CMD “Patch”. 1b. Stepped terrain created from images: with CMD “extruded” curve to create steps. 2. Terrain created from siteplans: CMD “Patch”. 3. 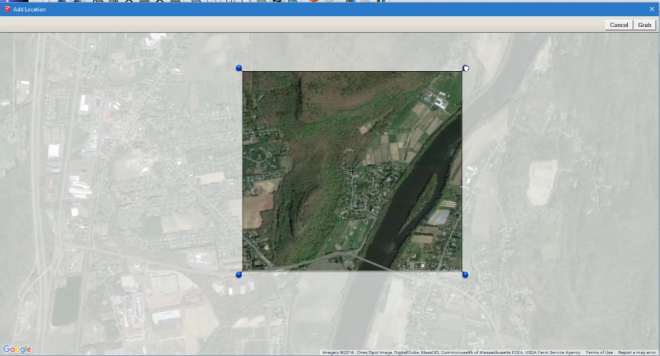 Terrain created from google earth: “Sketchup” + CMD “Patch”. How to create a 3d model out of a site plan.